This week, we have guest host, Amy Greeman in the studio with Kathy! 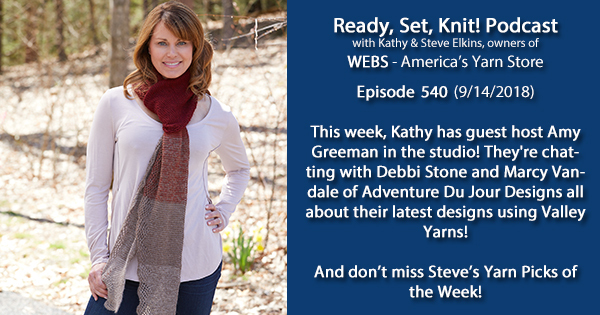 Listen to hear Kathy chat with Debbi Stone and Marcy Vandale of Adventure Du Jour design. 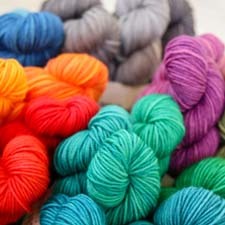 Listen to hear more about their latest designs using Valley Yarns, and about how they collaborate when writing their patterns! This entry was posted on Saturday, September 15th, 2018 at 7:53 am	and is filed under Uncategorized. You can follow any responses to this entry through the RSS 2.0 feed. You can skip to the end and leave a response. Pinging is currently not allowed.